You have made the greatest decision of your life. You are about to become someone who imparts wisdom on a daily basis. You are going to be a teacher! The following steps will help you become a teacher in Washington. One of the first things you should do is decide what you want to teach. Do you have a passion for a specific subject? If so, you can consider working with high school or middle school children. Do you prefer teaching multiple fundamental subjects like reading and writing? If so, you can consider becoming an elementary school teacher. Deciding what grade level(s) or subject area(s) can be tough, but take your own feelings and preferences into consideration when making this decision. If you need more information before making your decision, you can learn more about educators and schools on the Washington Office of Superintendent of Public Instruction's website. You can also seek advice from a college advisor. The specific steps you take will be dependent on which level and/or subject you want to teach. As with all other states, Washington requires teachers to possess, at a minimum, a Bachelor's Degree from an accredited university. It is also required that prospective teachers complete a teacher preparation program. If you are just starting out in your educational career, you may want to enter a blended or joint degree. The majority of accredited colleges and universities offer joint or blended programs. A joint or blended program is one in which you may earn your Bachelor's Degree while also completing requirements for a teacher preparation program. This route will help you become a teacher faster. If you already have a Bachelor's Degree, see the "Alternative Teaching Certification in Washington" section below. Public school teachers are required to be licensed to teach in order to teach full time in the classroom. In order to receive teaching credentials one must attend and graduate from an accredited college or university. Teacher preparation programs typically contain two separate but important elements, that of curricula and fieldwork. Washington does not have extra hours required for any specific certification. However, different colleges may require different course loads, schedules, or number of hours. To learn specifics it is best to contact the head of the department at the accredited college of your choice. In addition to actual classes and assignments, teaching candidates are often required to complete fieldwork. This includes hours of observation at different schools and grade levels, as well as student teaching toward the end of the program. Student teaching will require the teaching candidate to create, implement, grade, and reflect upon lesson plans while managing and running a full classroom under the guidance of a mentor teacher. There are four routes to alternative certification in Washington. Route 1 allows current employees (paraprofessionals) with transferable degrees to seek residency teacher certification with endorsements. These candidates will complete their baccalaureate degree, residency certification, and mentorship program in two years or less. Route 2 is for teachers who are certified, but not in the area in which they are applying. These individuals must complete a mentored internship with flexible training and coursework at a local site. These individuals must also pass the subject area specialty exam. Route 3 is for those who have a Bachelor's Degree in an area other than teaching. These candidates will attend an intensive summer teaching academy followed by a full year of mentored internship, and if necessary, another summer of teaching academy. All subject area tests must also be passed with appropriate scores. Route 4, the final option, is for those with conditional certificates. These individuals will be required to complete an intensive summer teaching academy followed by a year of mentored internship in which they are the teacher or record and considered highly qualified as determined by NCLB. All alternative route candidates will be required to pass appropriate subject area tests, provide letters of reference, demonstrate successful experience with students or children, and meet age, character, and personal fitness requirements. The next, and for some the hardest, step is passing the required exams for teacher certification. You must complete the Washington Educator Skills Test-Basic (WEST-B) or the Pre-Professional Skills Test (PPST) for certification. Often, this test is required before official admittance into a teacher preparation program. In addition, you must pass a subject area competence exam. The Washington Educator Skills Test (WEST-E) is also required for subject competence areas and will vary based on your field of study. These are PRAXIS exams and study guides or practice tests are available for those who need them. Determining the specific test you need will depend on your field of expertise, speak to your college advisor to find which is needed. There are a number of different certificates available in Washington. Each is outlined with a link below. Substitute Certificate: This certificate is good for life, but the substitute must complete the same level of preparation as a regular teacher. This is not a certificate for those who graduated from a Washington teacher preparation program. Limited Teaching Certificate : This limited certificate is used when enough teachers cannot be found for a given area. This is available to school boards who need to hire someone with expertise in an area, but does not hold a teaching certificate. There are three levels under this heading known as contracted teaching. These include: conditional teaching, emergency teaching certificate, and transitional teaching certificate. Applications can be downloaded above. Foreign Trained Certificate: This certificate is for those trained outside the U.S. These applicants will need to submit transcripts and class translations to the Superintendent of Public Instruction for approval. A transcript must be evaluated in order for certification to be received. Student Teaching in Washington : Those who wish to do a student teacher placement in Washington (all students in a teaching certification program) will need to obtain a pre-residency clearance prior to placement. Candidates must show enrollment in an approved educational institution, evidence of good moral character, and personal fitness. Students in a Washington based teacher preparation program need not apply as schools will handle this aspect. After completing the previous steps, you will be ready to find a full time position as a teacher in Washington! Washington State uses a number of third-party databases in order to ensure that district job postings are widely available to potential applicants. Some of the auxiliary sites that the state uses for these means are Educational Service District (ESD), Retire - Rehire, and the Washington Education Joblink. Applicants can use these portals or district websites in order to view up-to-date postings. In both public and private schools, shortages have been identified in subjects such as languages, sciences, special education, and math. New teachers are invited to join the state's professional labor union, the Washington Education Association. 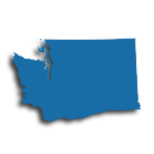 Upon retirement, public school teachers can begin accessing their pensions funds through Washington State's Teachers' Retirement System (TRS). In addition to the public system, teachers may apply to any of the state's 782 private schools to help mitigate the teacher shortages. Bear in mind that tenure, compensation, and benefits may accrue differently than Washington's public school system. Some private schools may not offer retirement benefits at all. The table below lists the number of public school teachers in Washington by grade level during the 2012-2013 school year. There are more than 590 private schools with an estimated 6,500 private school teachers in Washington. The table below details the number of teachers by grade level during the 2011-2012 school year. Teachers are required to engage in a career-long endeavor of professional development. This requirement of individuals in education ensures that teachers continually strive to improve their practice while increasing their salary and achieving their career goals. Professional development can take a number of forms and platforms, from online seminars to scholarly review. However, it is important to remember that the purpose of professional development is to ultimately boost student academic achievement and leadership within the school environment. The results of PD can have far-reaching positive consequences. In order to obtain your professional certification you must hold the NBPTS for at least five years. The professional certificate is the advanced level of teacher certification. This is typically given to those who hold a residency certificate and complete the ProTech Portfolio, though some out of state programs will also be accepted. Specific steps to receive this form of certification can be found here. The state of Washington manages educator professional development through the Office of Superintendent of Public Instruction, a division of the Department of Education. With teachers in mind, the Teaching and Learning initiative was designed to provide leadership and support for teachers in order to ensure that adequate support is provided throughout the professional development process. To this end, Teaching and Learning works to ensure that professional development offerings remain focused on learning standards development and professional learning, as well as content support for state assessment systems and K-12 education policies. Teachers with additional questions are encouraged to contact the Office of the Superintendent of Public Instruction. 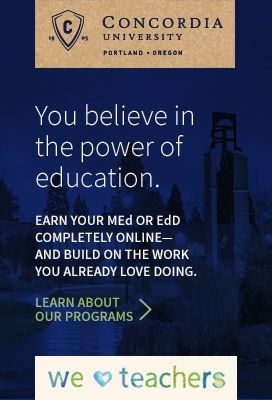 Although a master's degree isn't a requirement for teaching in Washington, earning your master's, either in education or in the field specific to your teaching certificate, will allow you to reach your personal and professional goals, earn a bigger paycheck, lend unique insight and knowledge to your classroom, and satisfy the renewal requirements for your five-year Residency Teacher Certificate. You'll be able to advance from your initial, undated Residency Certificate to the Five-Year Residency Teacher Certificate once you've gained at least 1.5 years of full-time teaching experience over a two-year period. Learn more about upgrading your initial Residency Certificate to the Five-Year Residency Teacher Certificate through the State of Washington Office of Superintendent of Public Instruction. Then, to maintain your Five-Year Residency Teacher Certificate, you'll need to complete at least 100 clock hours or four Professional Growth Plans (or a combination of both clock hours and PGPs) during the five-year period the certificate is valid for. Earn your master's degree and you'll satisfy the requirements for certificate renewal after completing just three courses (1 semester credit = 15 clock hours). You'll also enjoy a higher salary with the addition of a master's degree to your teacher certificate. According to the Washington K-12 Salary Allocation Schedule, which determines the state salary allocations for teachers within 283 of the 295 Washington state public school districts, there are separate set minimum salaries for certified teachers with a bachelor's degree, and certified teachers with a master's. For example, teachers in the Seattle Public Schools with a bachelor's degree earn a minimum salary of $48,097, while those with a master's degree earn a minimum salary of $57,736 - nearly $10,000 more. Similary, bachelor's-prepared educators in the Spokane Public Schools earn a minimum salary of $46,000, while those with a master's degree earn a minimum salary of $52,299 - an increase of more than $6,000.